Hello! I wanted to pop in real quick to share a card I made for PTI's Stamp-a-Faire. It is the only card I made for this event. It was just too full of a weekend to get much stamping done! This was for the Breakfast Bake & Take color/sketch challenge. I chose to work with a color palette of blues & green and a CAS sketch that Nichole provided. I love these sketchy stamps from Maile! She has such a fun eye for design! That's all for me today!! Hope you all had a great weekend! 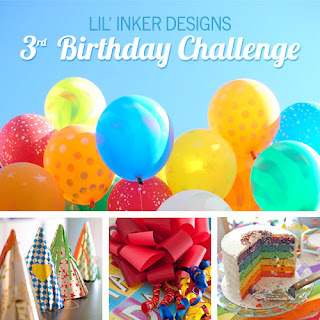 Welcome to Lil' Inker Designs 3rd Birthday Challenge Celebration! 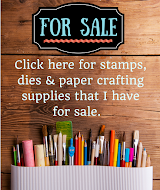 If you are following along in the blog hop, you should have come from Isha's blog. If you'd like to start at the beginning, visit Laura's blog. Based on the challenge photo above, we were to create a birthday themed project. I went very clean & simple on this card. I love all of the options that you can create with the party hat dies. For the center party hat I added the frill border and the topper. For this next card I again took the CAS approach and focused on that fun, fun sentiment from the Balloon Builders stamp set! It is one of my favorite birthday sentiments! I stamped the balloon strings from that same set. The balloon dies are from the fabulous Mini Party Die Set (but if you'd like a larger option on balloon dies, be sure to check out the regular Balloon Dies as well). Would you like to see the new Snarky Sentiments stamp set? This set is originally priced at $15 but is ON SALE for a special price of $10 now until our next release or while supplies last. We are once again going to have a $50 grand prize (chosen randomly) and one free Snarky Sentiment stamp set will be given out as a prize for every 10 participants that play along (also chosen randomly). 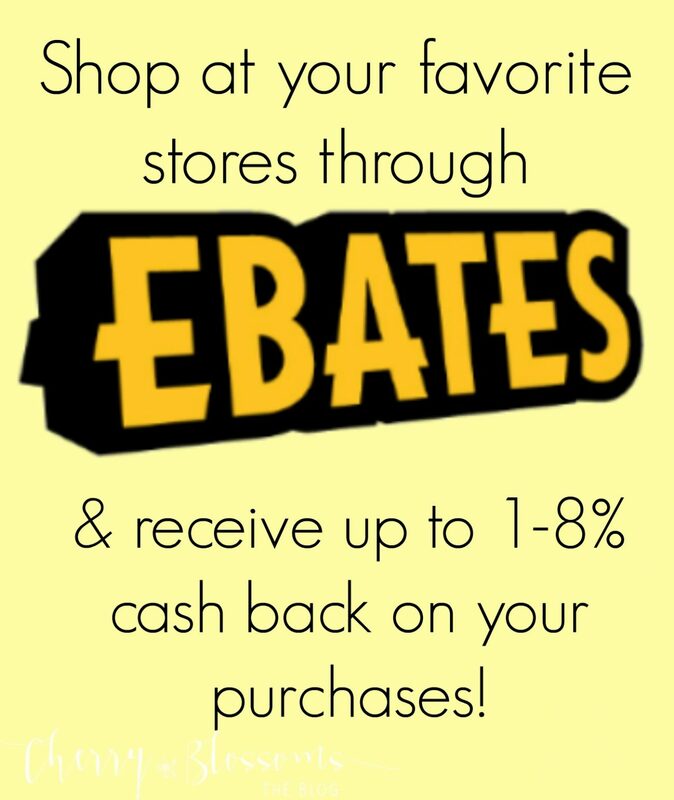 We will also have two $10 store credit honorable mention winners! Hop participation will be via Linky Tools. Participants are eligible to win by creating a project inspired by the graphic posted above, posting the graphic and a link to our challenge in their blog post, talking about how they were inspired in their post and direct linking to our linky tool. Focal images must use LID goodies but LID goodies do not have to be used exclusively to be eligible. 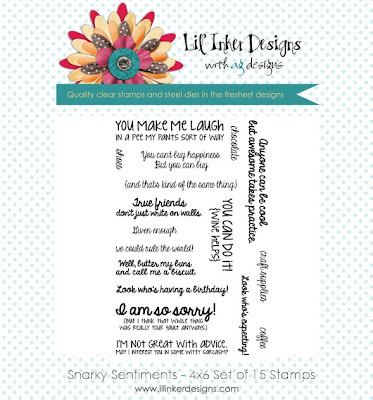 Link your project(s) up at: Lil' Inker Designs blog. 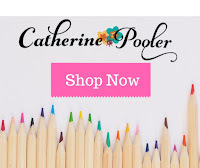 Your next stop on the hop is over to Karen's fabulous blog! Thank you for stopping by and HAPPY BIRTHDAY Lil' Inker Designs! 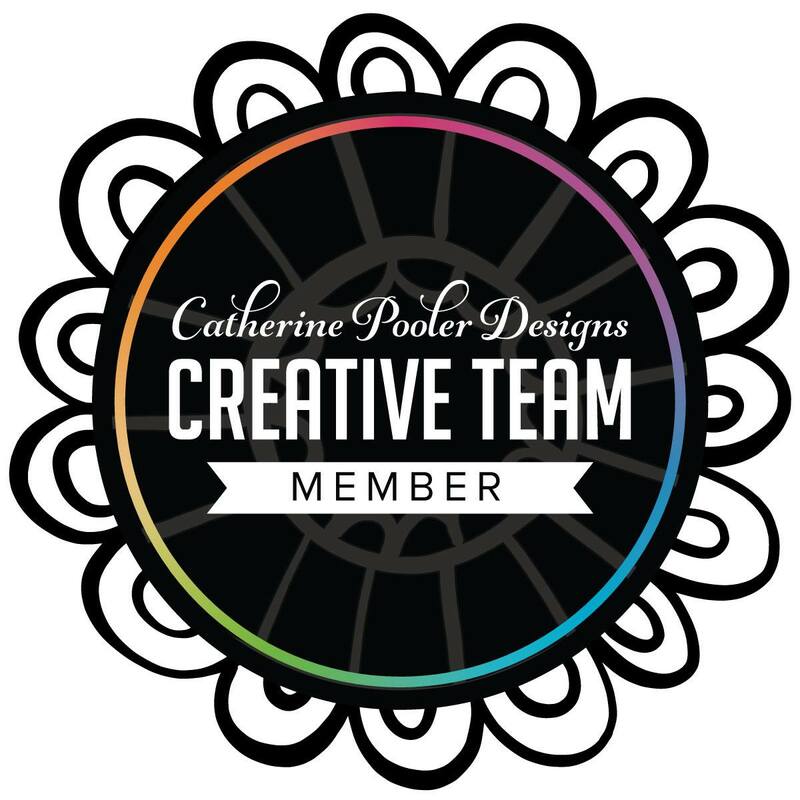 Welcome to another edition of Crafty Peeps Card Kit Club! This month it was my turn to supply the kit. I sent the members of the card club a "thank you" themed package. I had a lot of fun creating it and I hope that they all enjoy it! I put together four cards with this kit so far that I'd like to quickly share today! This first one is most definitely my favorite! I started with a Smokey Shadow card base and worked from there. The stamped panel was included in the card kit and I had stamped it using PTI's "Mini Blooms" and "Bigger Blooms" stamp sets. The sentiment is from Avery Elle. Moving on, this next card is very simple. The little flowered card is a card that coordinates with the patterned paper that I cut up. I used Paper Smooches "thanks" and some more of the blooms from the "Bigger Blooms" stamp set. The twine is one of my favorite Shimmer Twines from The Twinery. I just love the patterned paper in this kit! The colors are so pretty and I love the different designs too. For the banner I stamped the "Thank You" sentiment from WPlus9 once and then stamped it off three other times. It made kind of a fun sentiment panel. And up last is this peek-a-boo card. In the kit I included the kraft base with the "thank" stamped and the 'you" die cut out using PTI alphabet dies. I also included the dots and patterned paper. I cut the kraft base down slightly and popped it up with dimensionals and then laid the patterned paper down on the card base. I think it is a fun way to create a sentiment! I hope you enjoyed this card kit post! There are several other team members who will also be sharing their cards! 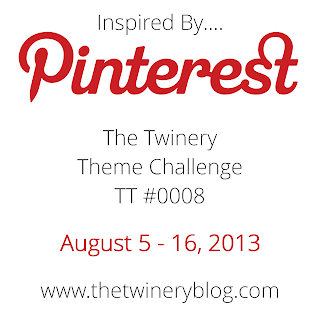 I'm so excited about the new Pinterest challenge from The Twinery! I have to admit that I LOVE Pinterest! I can't even tell you how many times I've been in a craft store or a grocery store looking up a project or recipe on my phone on Pinterest. There is just so much inspiration in that place! 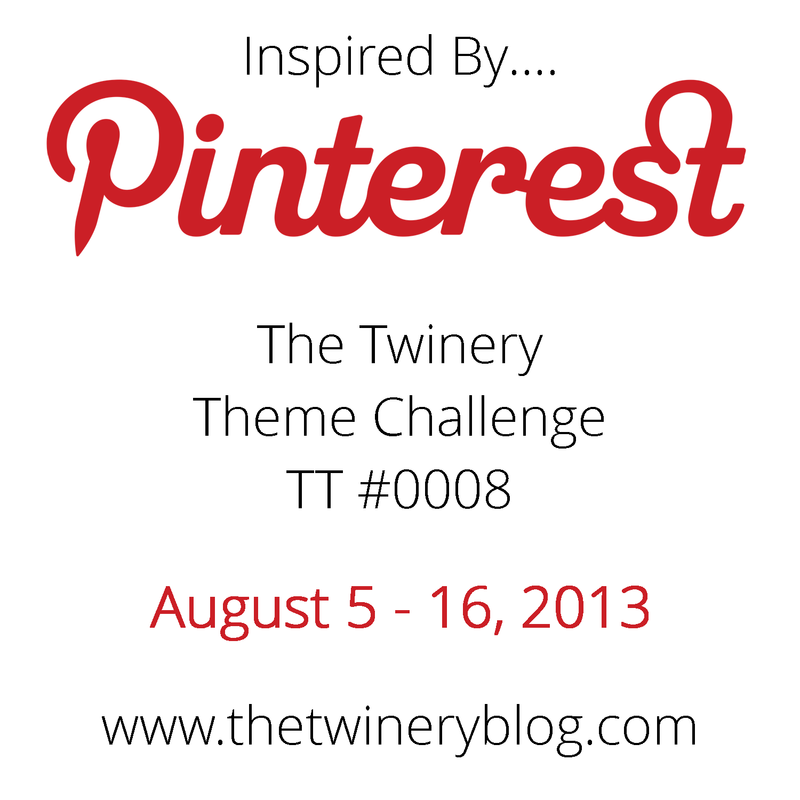 If you happen to be a lover of all things Pinterest, then this is the challenge for you! It was hard to choose what project I wanted to use for this challenge but I chose one that I pinned a while ago and have been wanting to put together. 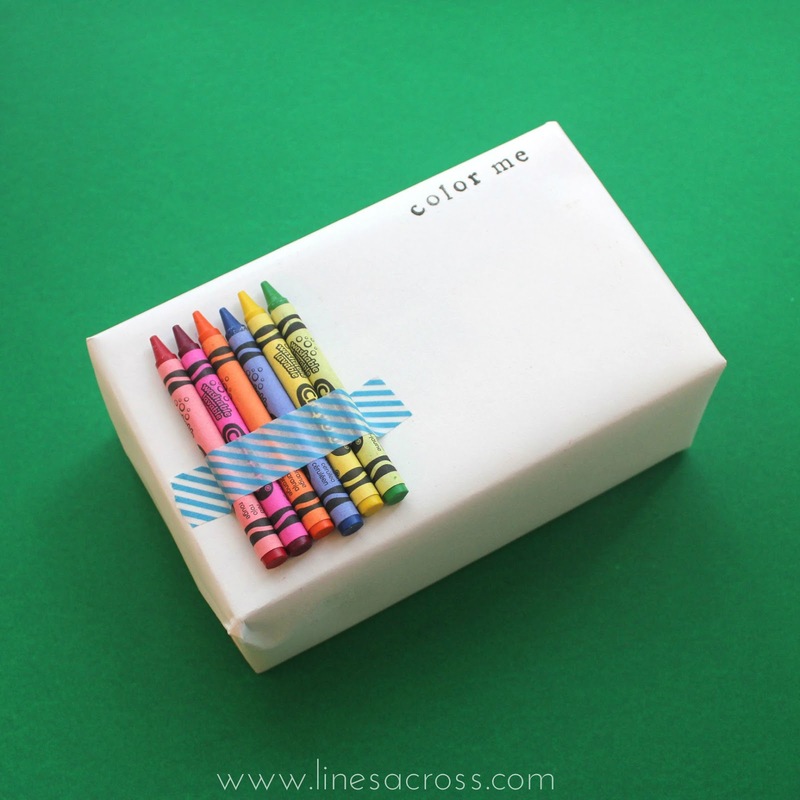 This fun project shown above comes from "Lines Across". I think it is so much fun! My version is below. Ever since I saw the project above, I thought that it would be fabulous to make with the Twinery's twine! There are so many fun color combinations to use and it easily decorates up a package with minimal effort. I don't know about you, but when it is my kiddos birthday's they want to know when they get to open the presents...the sooner the better. But, we all know that sooner never comes soon enough. 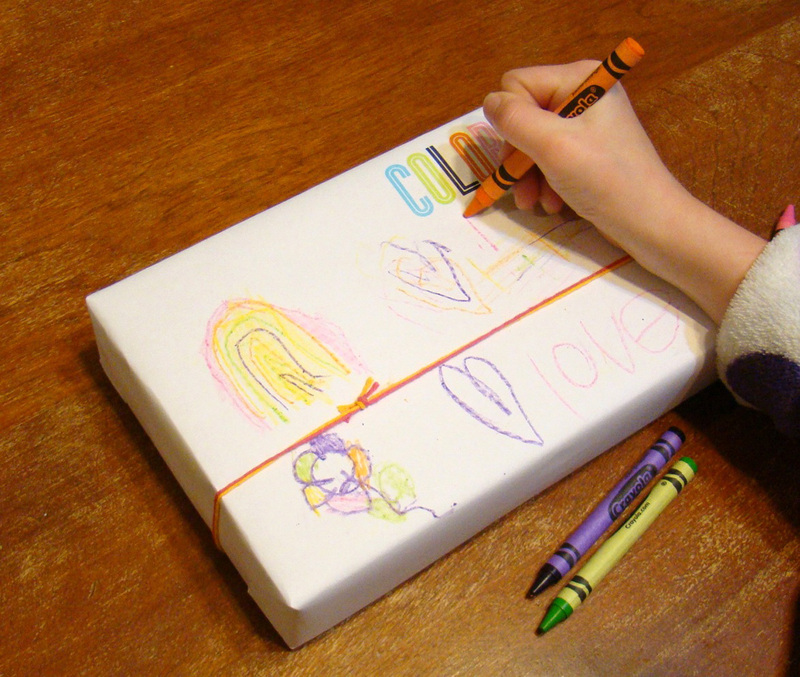 So, why not make a fun package like this that the kids can doodle on and pass the time until it is time to open presents? When my daughter saw me making this she begged me to let her color it. I hope you'll join us for the fun challenge! There is a wonderful prize up for grabs! You can find out all the details by checking out this post on The Twinery blog!